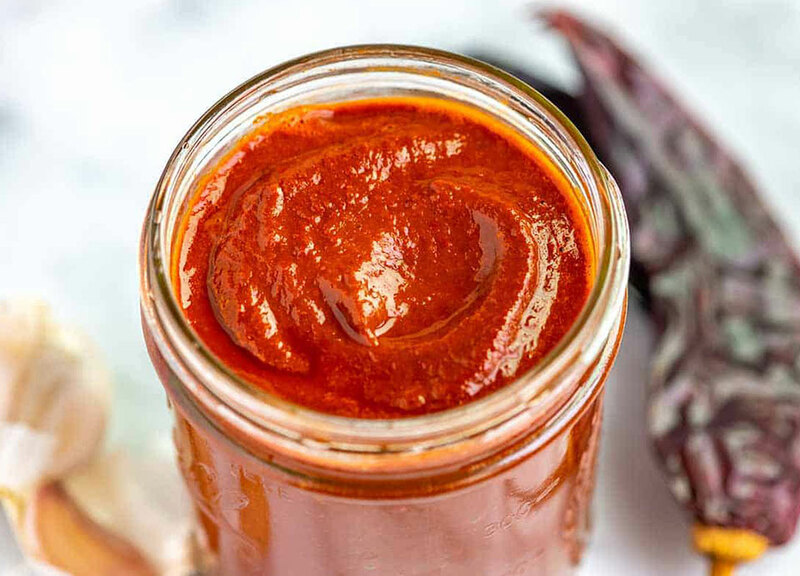 Try buying enchilada sauce in a can or jar and you’ll be hard-pressed to find one without sugar somewhere on the ingredient label. Why alter the wonderful anti-cancer effects of a tomato-based product with an inflammatory food like sugar? The reason sugar is almost always added is because tomato-based sauces can be acidic and sugar adjusts this flavor well. Try the recipe without any sweetener, but if you find it a tad acidic, you can try a small amount of neutral sweetener such as agave syrup if needed. The health properties of tomatoes, particularly lycopene, are enhanced by cooking so be sure to add tomato paste and sauce as part of your regular diet. Lycopene is an antioxidant known for bone health, heart health, and anti-cancer benefits (especially prostate cancer). Many of the healthful compounds in tomatoes are fat-soluble, so cooking with a little healthy oil will also increase the absorption of these benefits during digestion. 1. Heat oil in a saucepan over medium high heat. Whisk in flour until well combined, about 1 minute. 2. Stir in remaining ingredients. Bring to a boil; reduce heat and simmer until slightly thickened, about 10 minutes. Add water if needed as you prepare your own recipe.